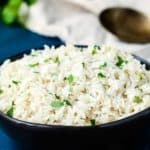 This Instant Pot Fluffy Rice is tender, light and flavorful every time! 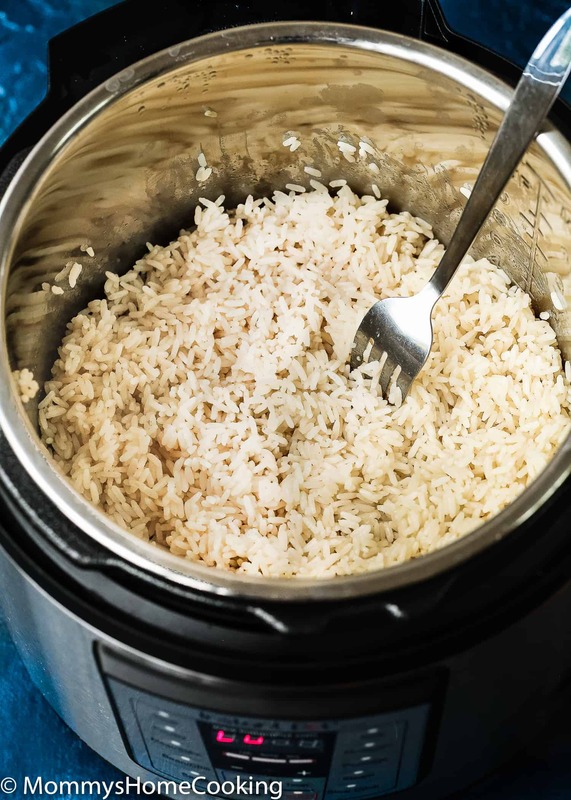 Keep reading to learn my fool-proof secret to cooking perfect rice in the Instant Pot. Ready in about 15 minutes. 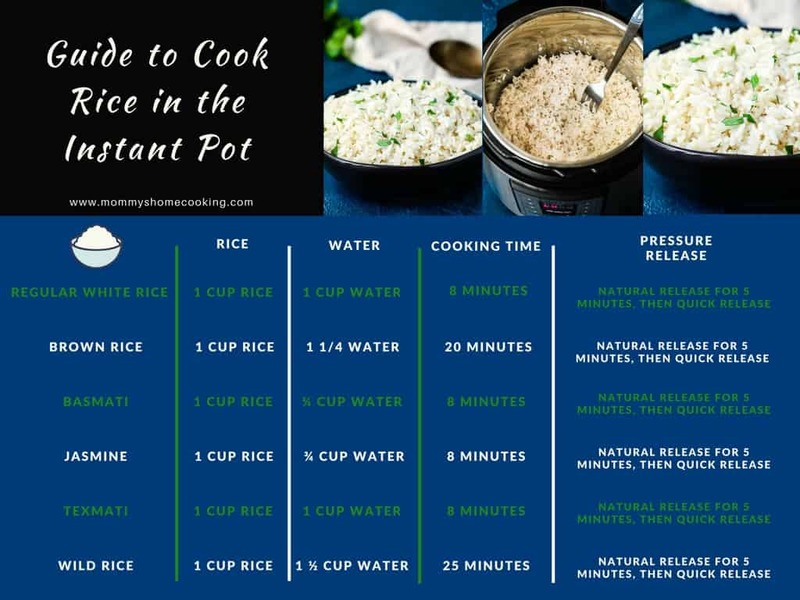 Guide to cook different kinds of rice in the Instant Pot is included. Rice is one of those everyday staples I cook with my eyes closed. 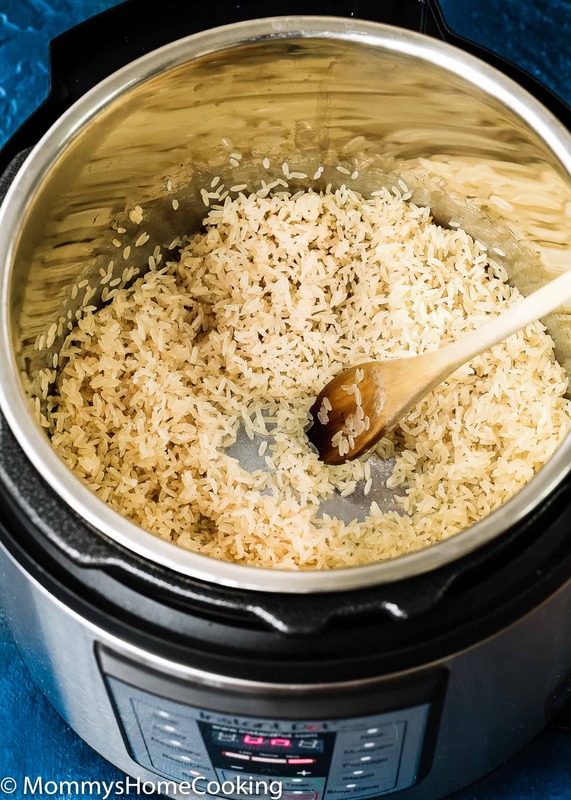 And this Instant Pot Fluffy Rice version is way easier and quicker to make. Rice was/is VERY important in my family. Seriously. I think it was the first thing I learned to cook. I’m not afraid to exaggerate when I say that during my childhood I ate white rice almost every day. 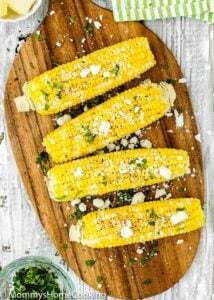 And I say “almost”, because there were some special days when my mom prepared another side dish, such mashed potatoes, or cauliflower au-gratin. But those days were extremely rare. The love thingy for rice seems to be genetic because my kids LOVE rice. So, once again I find myself making rice several times per week. 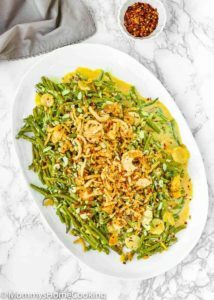 That is why I am so excited to have found the way to make it in my Instant Pot in just 20 minutes. 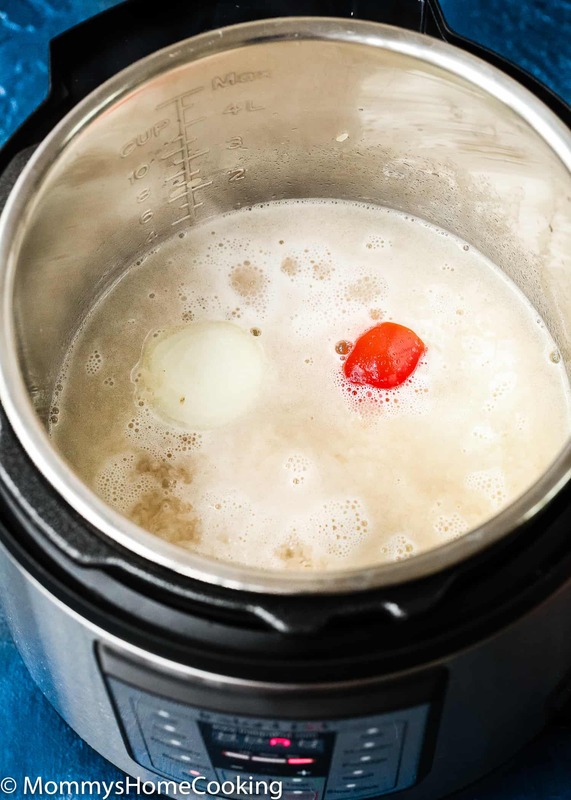 I avoided making rice in the pressure cooker for a long time because I thought it would be sticky, mushy and overcooked. We hate mushy rice. 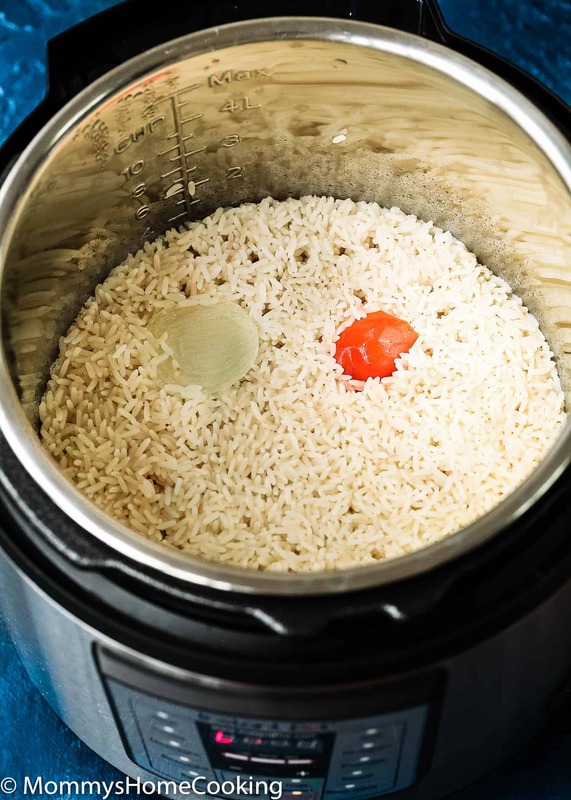 But after a few testing and tweaking, I found the perfect way to make fluffy rice in the Instant Pot. 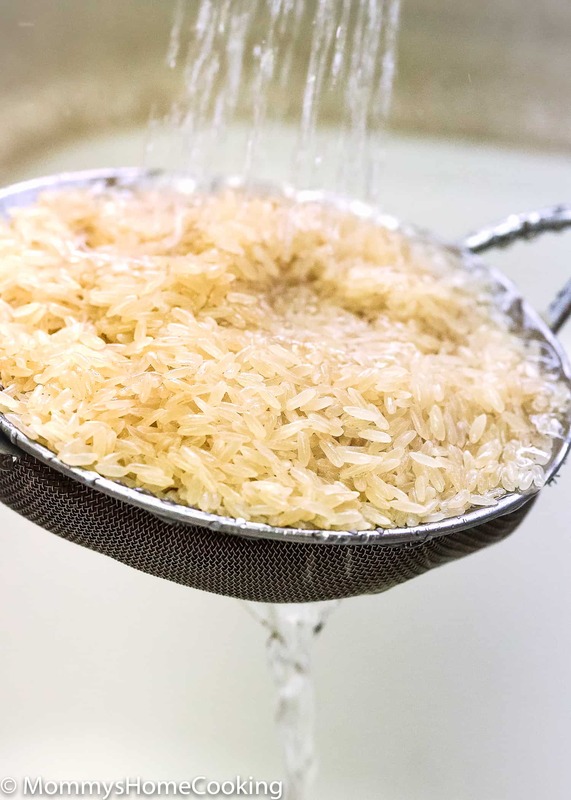 Rinse uncooked rice under running cold water to get rid of the extra starch. Toast rinsed rice with a little bit unflavored oil before adding the cooking liquid. 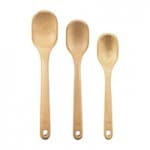 Add 1 teaspoon of white vinegar to the cooking water. 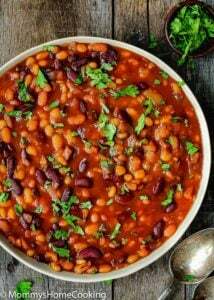 If cooking on the stovetop let all the cooking water evaporated, reduce heat to low, cover, and cook until rice is tender. When cooking in the pressure cooker let the water bring to boil before securing the lid. Cook for 8 minutes. Natural release for 5 minutes and then quick release. Fluff with a fork and serve. 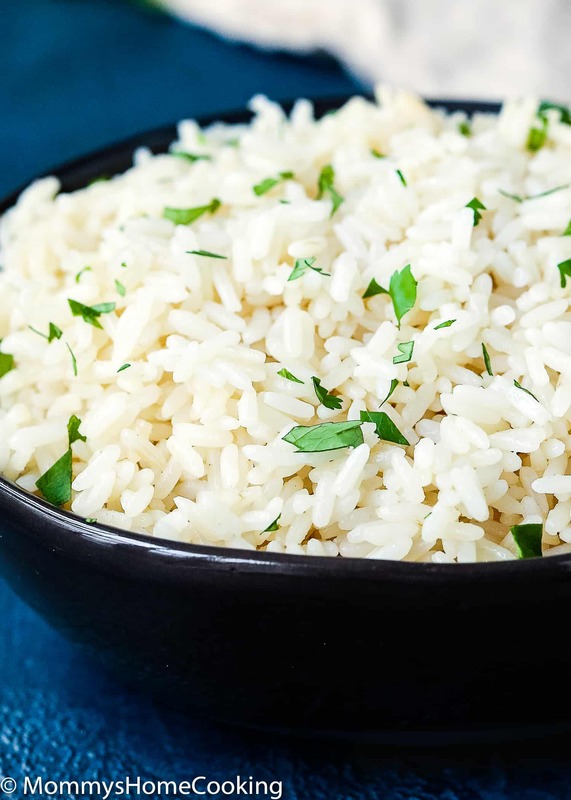 Regular white rice = 1 cup rice + 1 cup water. Cook on high pressure for 8 minutes. Natural release for 5 minutes, then quick release. Brown rice = 1 cup rice + 1 1/4 water. Cook on high pressure for 20 minutes. Natural release for 5 minutes, then quick release. Basmati = 1 cup rice + ¾ cup water. Cook on high pressure for 8 minutes. Natural release for 5 minutes, then quick release. Jasmine = 1 cup rice + ¾ cup water. Cook on high pressure for 8 minutes. Natural release for 5 minutes, then quick release. Texmati = 1 cup rice + 1 cup water. Cook on high pressure for 8 minutes. Natural release for 5 minutes, then quick release. 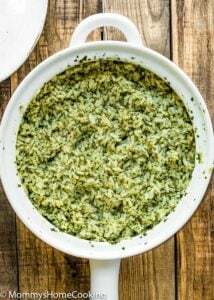 Wild rice = 1 cup rice + 1 ½ cup water. Cook on high pressure for 25 minutes. Natural release for 5 minutes, then quick release. 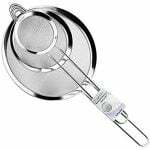 Place rice fine mesh colander and rinse it under cold running water until the water runs clear. Turn on the Instant Pot and select “Sauté” adjust to more. Add oil. When hot add the rinsed rice. 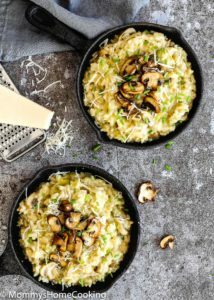 Toast rice for 2 – 3 minutes until most of the moisture is absorbed and rice starts to look a little toasted and coated with oil, stirring constantly. Add water, salt, garlic, vinegar, onion (if using) and pepper (if using). Bring to boil. Secure the lid to the Instant Pot. Close pressure release valve. 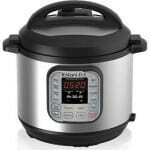 Select “manual”, or “pressure cook”, and adjust cooking time to 8 minutes. When the time is over, let the pressure release on its own for 5 minutes. Then, carefully turn the valve to “Venting,” to release any extra pressure that might still be in there. Then remove the lid. Press “cancel”. Discard onion and pepper, if you used them. When you double the quantity of rice do you double the cooking time? No, you can double/triple the recipe with the same cooking time. 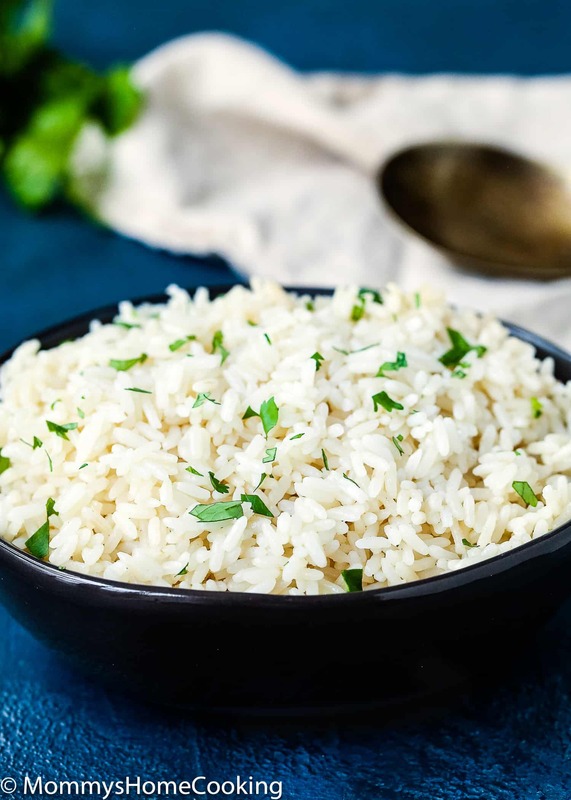 Keep in mind that you should use the rice: water ratio that is best for the type of rice you are making. You see… making fluffy and delicious rice is easier than you think. Add water, salt, garlic, vinegar, onion (if using) and pepper (if using). Bring to boil. Secure the lid to the Instant Pot. Close pressure release valve. 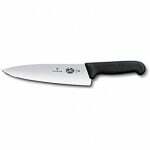 Select "manual", or "pressure cook", and adjust cooking time to 8 minutes. « Easy Shepherd’s Pie … my way! Hola Oriana – I am considering purchasing an instant pot and would like your recommendation. Normally I would be using it to feed 3-4 people but occasionally I would use for larger crowds. 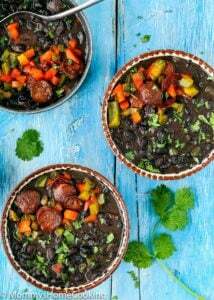 I have been enjoying your recipes for a while thanks! Soy Americana pero vivi en Caracas para diez anos – pero hace muchos anos. Me encanta mis memorias de Venezuela! Hello Ushmana! Yes, rice is very important in my family LOL. 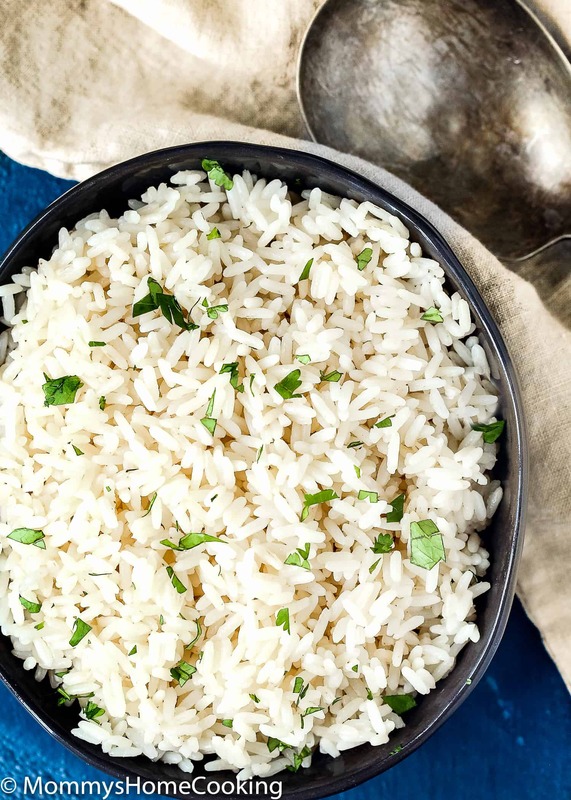 Toasting the rice before cooking and adding a splash of vinegar to the cooking liquid are two family’s tricks that have been applied for decades. I hope you like my version. Thanks so much for stopping by ?